Motorcycle shipping may be the last thing that comes to your mind when planning a big move, but that’s not how it’s supposed to be. Being the prized possession that motorcycles are, motorcycle shipping should be one of the most important things on your list of priority shipping items. If you are thinking of riding your motorcycle to your new home, and the distance is too long, you might want to reconsider your idea, as it would not only be inconvenient, but risky too. 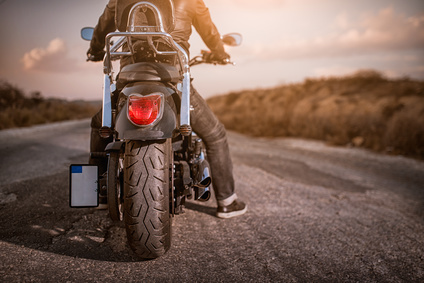 In addition to these reasons, there are many other such reasons why hiring a motorcycle transport services company to ship your motorcycle makes sense. Let’s take a look at what those reasons are. One of the major concerns for customers shipping their vehicle is the time taken for their vehicle to be shipped to the delivery location. The benefit of shipping your motorcycle through a professional motorcycle transportation company is that it reaches its destination faster. The transport company drivers are experts who know the fastest routes and can thus ensure that your motorcycle reaches its destination on time. There are two ways how motorcycle shipping is safer. One, you don’t have to ride them all the way to your new location, which helps you avoid the chances of any accident or mishap during the journey. Two, you don’t have to worry about your motorcycle getting scratched or coming loose during transit, as the motorcycle transport services companies use enclosed boxes, to safely ship vehicles from one location to another. Once you have hired a reputable motorcycle transport services company, you can rest assure that your motorcycle will be timely and safely delivered to its delivery location. Right from packing and loading the motorcycle to transporting, and finally unloading and unpacking it, the transportation company takes care of it all. What’s more relaxing is, the fact, that your motorcycle is insured against any damage or loss that may occur during the transit. Shipping your motorcycle means that you wouldn’t have to ride it all the way from your current location to your new location. This will help you save a lot of time, especially if the distance between the two locations is too large. This would also mean that you don’t have to take leave from work to move your motorcycle from one location to another. Need Help with Motorcycle Shipping? Whether you are planning to move your motorcycle domestically or internationally, we at Easy Haul can you help you with it. Whatever needs to be done to move your vehicle, we do it all. For example, we also do all the paperwork for our customers who want to ship their vehicle internationally. In short, we handle all logistics. If you want to learn more about our services, call us at +1 (360) 597-9320. You can also visit our website and request for a free shipping quote.